Over the past fourteen years, 85% percent of my clients facing criminal charges have avoided criminal conviction, 97% avoided incarceration and 94% charged with driving offences have avoided or received significantly reduced driving prohibitions. But since past successes are not necessarily an indicator of future success, the two biggest questions most people have—before they ask me about fees, of course—is “What are our chances of winning” and “What’s going to happen to me if we don’t?” The first question is generally the easier of the two to answer. Once I have the bulk of the disclosure from Crown Counsel, I will sit down with you and give you, in terms of percentage, what your chances of winning are and outline the steps I propose to take to maximize those chances. The second is question is more difficult. Different judges will sentence in a dramatically different way for the same offence. It is no exaggeration to say that one judge would give you 4 years’ custody in a federal penitentiary and another a non-custodial sentence for the same offence and both sentences would be upheld on appeal. 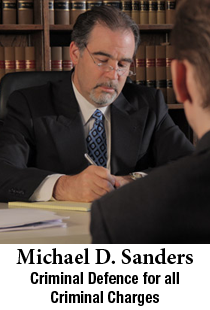 If a case is resolved by a negotiated plea bargain, then I have a significant amount of control in what judge sentences you. If we go to trial, however, it’s the luck of the draw. Therefore, if you’ll forgive me sounding like an investment advisor, one thing you and I will talk a lot about is “risk tolerance” and priorities. If you absolutely cannot face the prospect of a jail sentence, we conduct your defence in such a way as to focus on minimizing that risk. If it’s the criminal record that concerns you more, there would be a different approach. Fortunately, in the early months, these objectives are usually not inconsistent with each other and we can advance both at the same time.